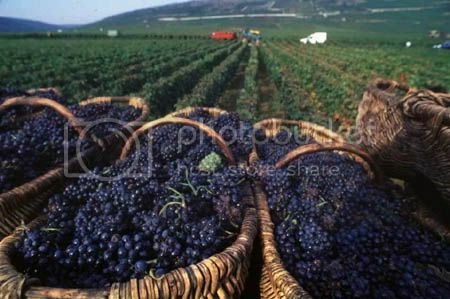 A cultivated grapevine is carefully tended by a gardener who takes pains to make sure that the vine has everything it needs to produce the best fruit. It is usually fenced in to protect it from enemies and the gardener removes all stones and other debris that could inhibit growth. He often builds posts or fences which are used to provide support to the growing vine. to keep us from the clutches of the enemy. is of the highest quality. When a branch on a cultivated grapevine is producing fruit the gardener will prune it - cutting back branches and leaving it looking almost bare. This seems cruel, but it causes the branch to draw more life-giving sap from the vine. This eventually results in even greater growth, and yields fruit of excellent quality. Our Father does the same with us. in areas that have been quite productive. To the undiscerning this could feel like punishment or unfair treatment. so that our fruit-character more greatly reflects Him. On the other hand a wild vine is not kept by a gardener, but grows at its own pace, sometimes rapidly. Its fruit are small, sour and inferior in quality. The wild vine cannot support itself, so it may wind itself around a tree until it gets to the top. Eventually it covers the top of the tree, and because the tree’s leaves can no longer receive enough sunlight, the tree begins to die. 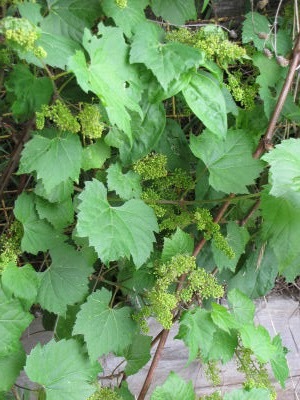 and seems to be advancing is not necessarily an indication that it is connected to the True Vine. Jesus warned us saying, “Take heed that you not be deceived. Let us be diligent in testing each spirit to ensure that it is of God. Not every Christian program, book, CD, event or assembly is one that promotes intimacy with Jesus Christ. Too many, like the wild vine, are on a mission to milk unsuspecting believers of their resources. They focus on their own ministries’ survival and personal ambition instead of the purposes of God. Eventually, because of lack of direct contact with the SON, those connected to them could suffer the same fate as the tree engulfed by the parasitic wild vine. Which vine are you attached to? “…by their fruits you will know them. but he who does the will of My Father in heaven. Such wisdom here! I want to be part of the true vine. Thank you for these words. Thank you for sharing here at "Tell Me a Story." We have been grafted into the True Vine and are tenderly cared for by our Master. We shall be know by our fruit as we continue to abide in the vine! Thank you for this biblical post. I know it. Our Father should prune me sometimes ... It is painful. But maybe it gives a good effect? You know, I work at a vineyard and winery and get to see the vines at all times of year. The time that impressed me most was winter, when the vines are pruned down to their main branches and look like infinite rows of black crosses as far as I can see across the crests of the hills. Cross after cross after cross, like a sad graveyard. And yet, when spring comes....well, they just spring out full and bursting with fruit in almost no time. I have seen so many parallels, as have you, that were probably so clear to the vineyard masters in those days. What a convicting lesson. I certainly want to be connected to the True Vine. Thank you for sharing at Tell me a story. Oh my, I don't want to be like that "Wild vine" with the sour grapes. Nothing is worse than sour and bitter. May we always be sweet!